Take this from someone who hated the first Evil Within and never finished it: I think The Evil Within II might be brilliant. Think, because I’m only about two hours in, and who knows? Maybe it all goes wrong in the fifth hour or whatever. But the two-hour mark is where I quit playing the original Evil Within my first time around, fed up with its clunky movement and tedious combat and terrible save system. The latter was really what did me in—I was dealing with the movement and combat, but when an ill-timed death wiped away 20 minutes of progress I quit and never looked back. 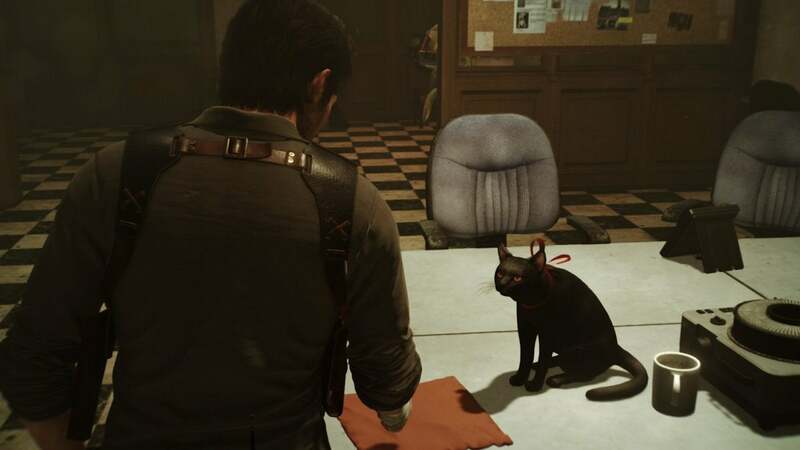 So two hours into The Evil Within II ($60 on Amazon or Steam) and I still want to keep playing? Well, we’re doing better than the first game at least. 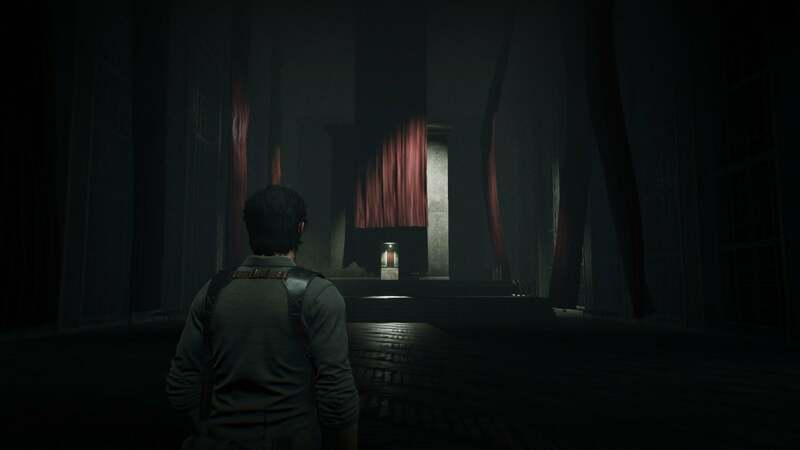 What The Evil Within II does best is launch you full-force into its blood-soaked Twilight Zone. The downside: If, like me, you haven’t finished the first game, this sequel does nothing to try and catch you up. That’s a bit odd given how poorly The Evil Within sold and how few people who did buy it ended up finishing it, but I recommend reading a plot summary or catching up on YouTube before launching in. 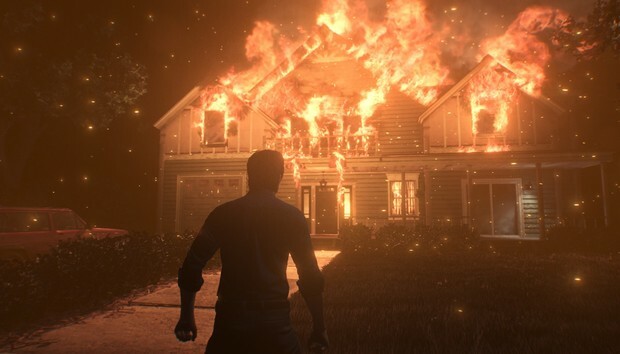 Newcomers aside, the pacing of the introduction is excellent though.The Evil Within dithered around in backwater towns for hours at the beginning, with a first act that dragged on forever. It took nearly half the game to really ramp up the weird. There’s a definite Layers of Fear or Silent Hills vibe that I’m really digging as someone who’s fond of psychological horror. And sure, there’s combat—starting around the one hour mark that aspect begins to appear more often. 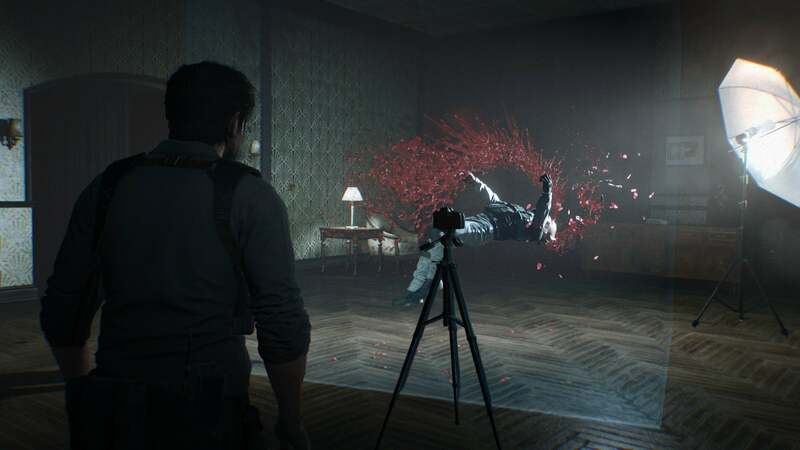 Even combat is more interesting, in part because environments are much larger in The Evil Within II. Shortly after arriving in the town of Union a.k.a. faux-Silent Hill, the game opens up considerably. You even get side missions to go and investigate an odd distress signal, hunt down new weapons, and so on. 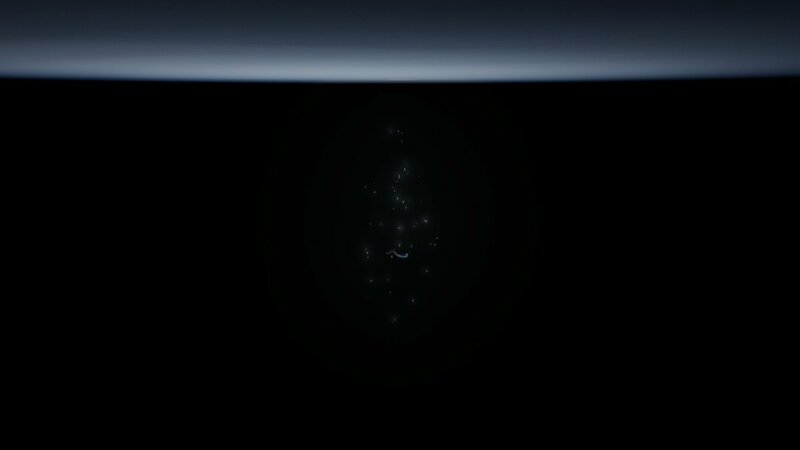 For now it’s a nice break from the usual survival horror progression. 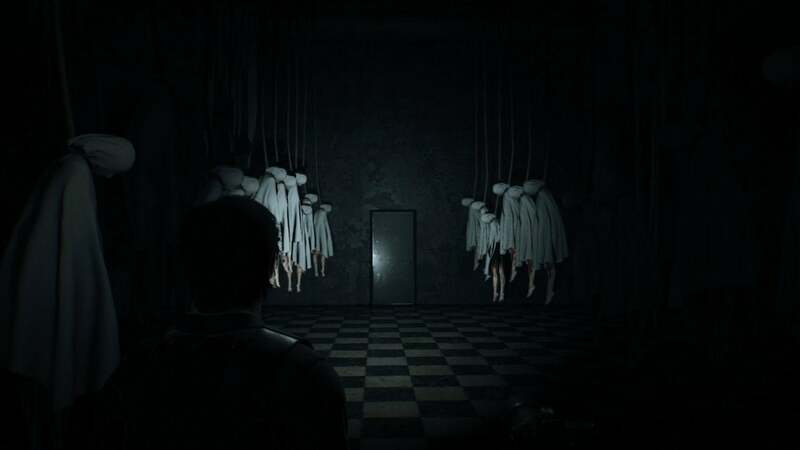 Normally survival horror is content to send you down linear hallway after linear hallway until you find the door or vent or whatever you need to interact with. Those areas still exist in The Evil Within II—the opening is a fine example, as is the section I looked at during our preview last month. 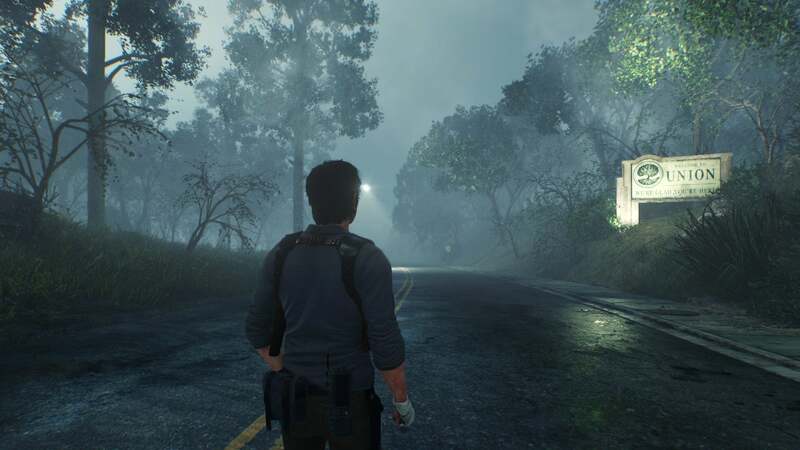 But these larger, open world-esque areas play more like a rudimentary stealth game, distracting zombies with bottles and car horns before sneaking up behind them for the kill. Will it stay interesting? I don’t know. The more cinematic sequences seem to be contained within those more linear areas, so I’m worried the open-world aspect might drag the pacing down eventually. But I’m enjoying it at the start. It helps that the game just plays better in general. Movement is much more natural and fluid. It's almost too fluid at times. Sometimes Castellanos seems to glide across the ground more than walk, but I’ll take the busted animation if it means quicker response times. Gone also is the “Match” system from the first game, where you burned enemies either to make them stay down or just to get resources. It was a clever idea, and led to some interesting strategic moments—knocking down one zombie, waiting for another to stand over it, then burning both alive. But more often than not it was just added clumsiness in an already-clumsy game. I don’t miss it much. And the save system seems better. That’s hard to quantify because a good save system should be pretty much invisible. Two hours in and I don’t have any complaints though, which makes me think it must be better. Before I leave you, it’s also worth noting that the PC port seems solid. There are a few odd issues. For one, if you have a controller plugged in then the game assumes you want to use the controller and relegates mouse and keyboard controls to “Option C.” I also get the feeling there’s mouse acceleration in the menus (ugh). V-Sync caused me some issues too, to the point I eventually turned it off. That’s not too surprising. I’m using a 144Hz monitor, and I feel like I often run into V-Sync issues in ports. It was jumping between all sorts of weird values though, from 72 down to 60 down to 48 and back. Which brings me to my last point: The game is surprisingly demanding at times. The linear hallway areas aren’t too bad, but the open-world areas can be rough as they're giant outdoor arenas filled with fog, basically. I’ve still managed to hover between 60 and 70 frames per second for most of the game (at 1080p Ultra with a GTX 980 Ti) but have seen it dip lower on occasion. Don’t be surprised if you have to lower a few options even on a high-end machine. And hey, the proprietary Stem engine is based on id Tech so I guess we shouldn't be too shocked. The Evil Within II is just a smoother experience all around, though. Better pacing, better mechanics, better design, and just some of the craziest psychological trickery I’ve seen a game attempt. It’s so good I’m again tempted to go back and finally finish The Evil Within—but, well, maybe I’ll just stick with the sequel for my own sanity. I still have my doubts. After all, I really did hate the first Evil Within. I’m still half-convinced this sequel’s going to let me down eventually too. But the first few hours are a strong argument to keep going, and that’s more than I can say of its predecessor. Fingers crossed.